Skippy and Snappy the Crab were back. Snappy sure used some big words today: Crabulous and crabtastic! What will Snappy say next? This is my Son whom I dearly love; I find happiness in him. That is from the Bible in Matthew 3:17b. We can read all about this event in Matthew 3:13-17, and in John 1:29-34. I’m sure it was a crabtastic experience for Jesus! To help us remember today’s Wave Words — “God Loves” and our Pop-Up Verse, we got another Scripture Treasure magnet! At the bottom of this post, is a slideshow of photos that tell the story of what your kids did today. Talk about it while you look at the pictures. What did the Grad Group do today? They worked on another mission project, of course! They delivered cereal boxes to the Bryant Community Center. While they were there they also helped clean up and weeded. They sure are being God’s hands and feet this week. Oh, and they also reported our fund raising results so far. We’re getting closer to our goal! Boxes of cereal: 71. Money for Camp Garjay in Liberia: $202.94 so far! Today we learned that God loves. Who is someone that you love? What are some ways you show your love to that person? We can show our love to others. What about ways we tell them we love them? When was the last time you said words of praise to someone else? When God gave Jesus a “thumbs up,” God said that Jesus was his son and that he loved Jesus. Re-read today’s Pop-Up Verse. Have your child close his or her eyes as you say this to them: “You are my child whom I love. I find happiness in you.” (You’ve just blessed your child! Read all about the importance of regularly blessing your kids. Here’s a couple of Bible questions: What Testament are the books of Matthew and John in? What are the names of the four books that start off the New Testament? (Matthew, Mark, Luke, and John) What do we call those four books, collectively? (the Gospels) Can you tell me what the word “gospel” means? (good news) What is the good news in today’s story? 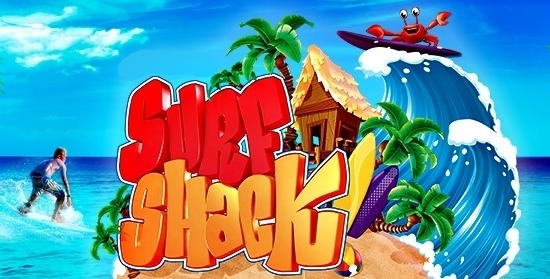 Surf Shack images used by permission of Cokesbury.